A breakdown of how to book each part of the Norway in a Nutshell tour by yourself, how much it costs and what our experience was like. Why pay more when you can just book everything yourself? If you have done any research into visiting Norway at all, you may have already come across the ' Norway in a Nutshell' tours. They are extremely popular ways of travelling across parts of the country whilst seeing some of the main sights in a very short space of time - usually just one day. It is a company that essentially sells you all of the tickets together in a package for a particular route. 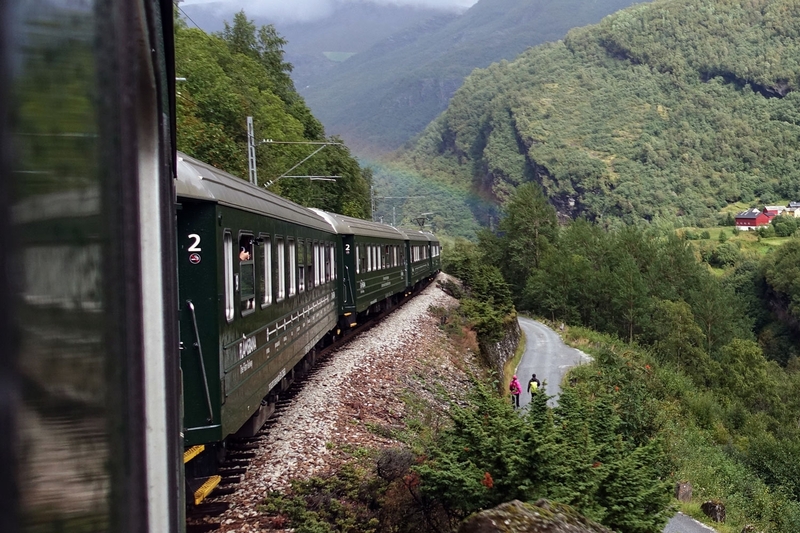 The main route that people seem to take is from Oslo to Bergen or vice versa via the Flåm railway and a trip on Aurlandsfjord and Nærøyfjord. Some people do a return trip, some do it one way and you can also split the trip up and do only part of it. What I came to discover however was that the Norway in a Nutshell people do not use their own transport to get you to all of these places but simply bundle and resell tickets for public transport that is of course accessible to everyone. After learning this, I set about trying to figure out how to do the trip ourselves to see if it would work out cheaper than the price offered by Norway in a Nutshell and it turns out, doing it DIY was definitely cheaper! The downside obviously is that you can't just pay one place and get all of your tickets sent to you as a bundle so if you are looking for a little convenience then perhaps the extra cost of Norway in a Nutshell is worth it. If you are on a budget however then the small amount of extra work is definitely reasonable for the money saved. 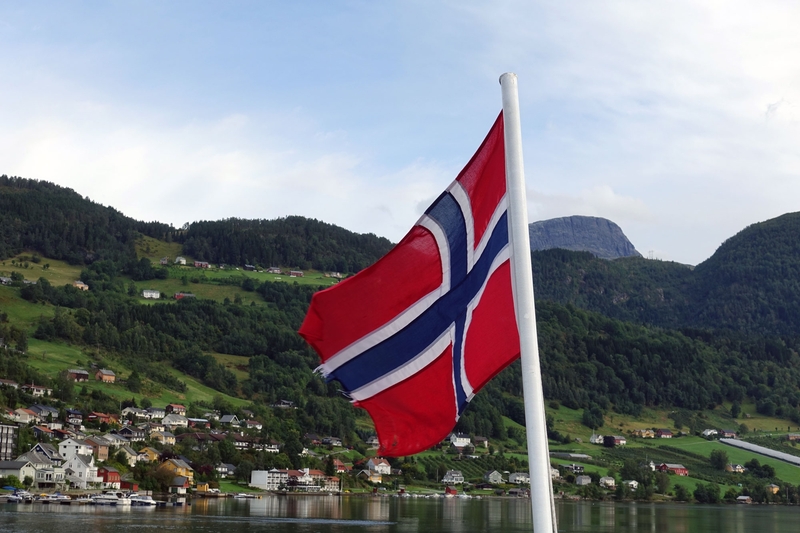 I have detailed below the route that we took to get from Oslo to Voss (the last stop on the Norway in a Nutshell route before Bergen), where we decided to split up the journey and stay overnight. 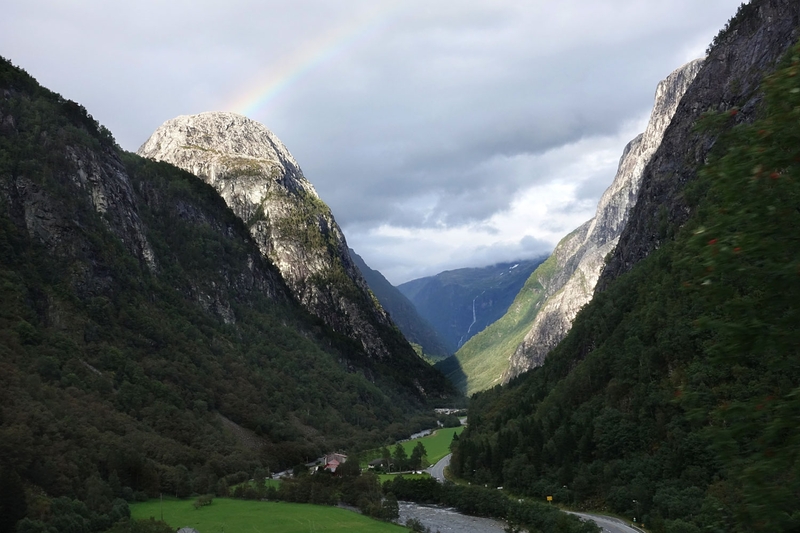 We actually took a different route from Voss to Bergen the next day but at the bottom of this article I have explained how you can finish the Norway in a Nutshell route the same day if this is what you want to do. We travelled the whole day with Norway in a Nutshell tourists - you can tell who they are as they have their tickets in a little wallet with the itinerary of the whole day printed out. We shared every single portion of the journey with then and I have to say, maybe felt a little smug knowing how much less than them we had paid for the same experience. The first step of the journey is to get from Oslo to Myrdal. This is on one of the standard Norwegian state trains and leaves from the Oslo S station. It departs at 8.25am and tickets can be purchased in advance. If you are organised and book them early, you can get 'mini-pris' tickets which are like advanced fares and are a lot cheaper than the standard prices. We bought them on the NSB website which is the Norwegian railways official website and I have linked you to the English version. It is very easy to use and at the end you will have different ways to get your ticket - we elected to print them at home before going to avoid trying to figure out how to get them from ticket machines on the day. We paid 599 NOK per adult and this was a 'mini-pris' fare. 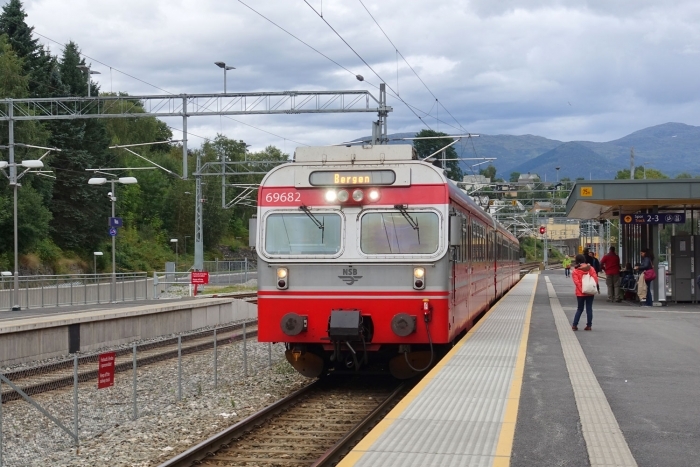 The standard price is 694 NOK but on writing this article, I decided to check the current mini-pris fares on offer and some of the trains are only 349 NOK per adult. So as you can see, it is worth getting these tickets well in advance! For this portion of the journey you can also book a specific seat on the train. 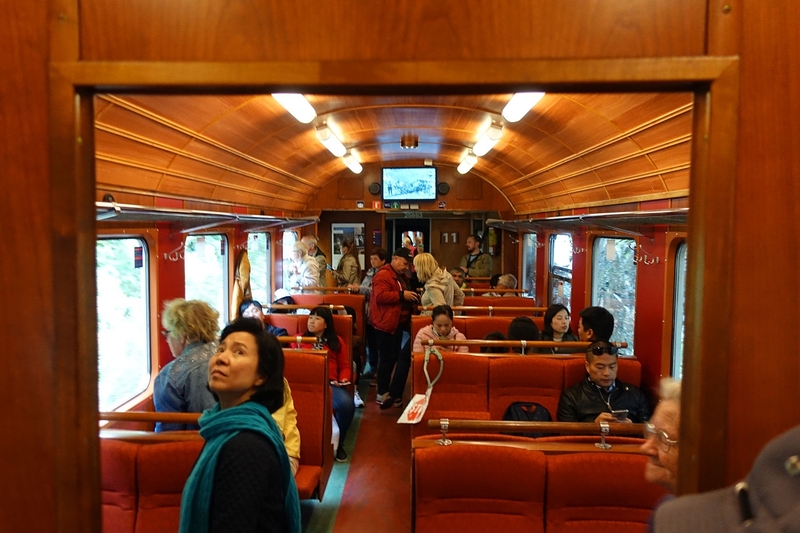 We recommend sitting on the left side of the train - there isn't much to see for the first part of the journey but as you near Myrdal there is a lot more to see and most of this seemed to be on the left side. After getting off the train at Myrdal, it is time time to transfer to the famous Flåm railway to experience one of the highlights of the trip. It is an old-fashioned steam train which is supposed to be one of the prettiest train journeys in Europe if not the world. In theory you should have a window of 28 minutes (the first train arrives at 12.59pm and the Flåm train departs at 1.27pm) but we were very heavily delayed leading to a little bit of stress which you can read about here. The trains are on opposite platforms and so it is very easy to do the transfer. This ticket can also be booked in advance on the NSB website but there didn't seem to be any 'mini-pris' fares available. We paid 340 NOK per person and again elected to print the ticket at home which made the whole experience easier. Unfortunately no-one can book specific seats for this train and so it is a little bit of a free-for-all when trying to get on. Before going we had read that sitting on the right side of the train was better (note, to work out the direction of travel, if you are facing the train from the platform, it will move off to your left) and I would say that perhaps the right side did have some better views but there were amazing views from both sides of the train and in the end everyone was moving from one side to the other so it didn't really matter where we had chosen to sit. Don't be afraid to move around and don't be afraid to open the small windows to get a better look and some better pictures too! The train will also usually stop at the impressive Kjosfossenwaterfall and allow you to get out and take pictures, unfortunately because of our delay we were unable to make that stop and so the train just slowed down going past it. This part of the journey is where you actually get out onto one of the Fjords. Unfortunately for us and everyone else travelling that day, the boat we were booked on had broken down and they couldn't find a replacement. We had the choice of waiting a couple of hours to get on the next boat or we could get a bus to Gudvangen instead. As we needed to get our next transport from Gudvangen at a specific time and there were no later options, we had to choose the bus transfer instead. Thankfully we were able to get a refund for the boat but we couldn't help be a little disappointed at missing out on this cruise. We luckily had decided to take a trip to another Fjord on our way to Bergen the next day which did make up for this a little. It is possible to book the boat in advance as well on the VisitFlam website and I would probably recommend doing this as there aren't many spaces and you are travelling with all of the Norway in a Nutshell people who will have their tickets ahead of time. 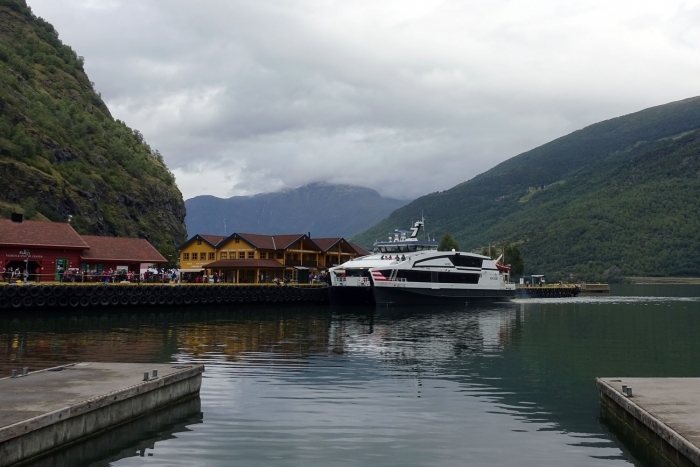 If you aren't keen on the boat journey or you don't book in advance and all of the tickets are sold when you reach the port- you have the option of travelling by bus to the next stop at Gudvangen as mentioned above. We paid 315 NOK per adult for the boat trip and were emailed a ticket to print at home again, making the process simpler. The port is right beside the train station and is impossible to miss. 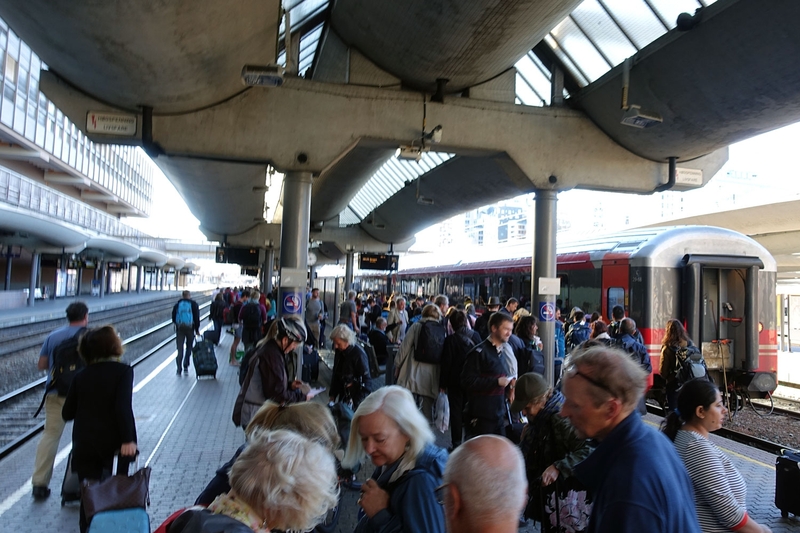 The train arrives at 2.25pm and the boat that you need to book is the one that leaves at 3pm. If you don't have any issues like we did then it is all very easy and smooth to transfer between the two. We had a lot of time to kill in Gudvangen given our arrival by bus instead of boat so had a little wander around the port and village. There isn't much to do at all, it is very small but the view of the fjord is lovely and we could imagine that the boat trip would have been very pretty. The next step on the journey is to get a bus (number 950) to Voss. The bus stop was very easy to find - there is a shop/cafe at the port and the bus stop is just opposite it. There is a small timetable on a pole beside it and a sign for Norway in a Nutshell at the stop too. If in doubt - you will see people starting to congregate there near the time the bus is due to depart. This bus is part of the state run bus service and so you cannot book a ticket in advance. Those on the Norway in a Nutshell tour are given a sort of 'ticket' which will allow them onto the bus but there is no way to officially buy a ticket beforehand. The bus service (Skyss) has its own website which is actually very good and has a useful journey planner. If you got the boat then this arrives into Gudvangen at 5.15pm and the bus to Voss departs at 5.45pm. You simply pay the driver on the bus and he helpfully has change so you don't need the exact amount. At the time of us travelling this cost 112 NOK per adult. If you are using the journey planner then the stations are 'Gudvangen Kai' and Voss Stasjon. As this is a public bus service, there are no assigned seats (even for the Norway in a Nutshell people). There is a series of switchbacks going downhill which was really fun and had some stunning views! I'm not sure if there is a side of the bus which is better to sit on, but our driver actually stopped each time he saw a pretty scene and because of this most of the stops were made when something pretty was on the left side of the bus. Therefore I would maybe recommend sitting on the left just in case all of the drivers do this. This was the end of the journey for us - the bus arrived into Voss train station at 7pm and we had decided to stay the night in Voss and take a long route to Bergen the next day via Hardangerfjord. If you wish to complete the Norway in a Nutshell trip and finish in Bergen then how to do the last part is detailed below. This final portion is back on the state train service. It does not seem possible to book these tickets in advance on the website and as such there are no 'mini-pris fares available. When we did this journey the next day, we purchased our tickets at a ticket machine in the station itself and they cost 199 NOK per person. The bus arrives into Voss at 7pm and actually stops at the train station. The train then leaves at 7.40pm and so there is plenty of time to purchase tickets. There wasn't much to see on this train compared to the scenery from earlier in the day but we did catch a really lovely sunset and we were sitting on the right side of the train. The train gets into Bergen's main train station in the centre of the city at 9.05pm and then you are free to head to your accommodation or enjoy a late evening stroll in Bergen. 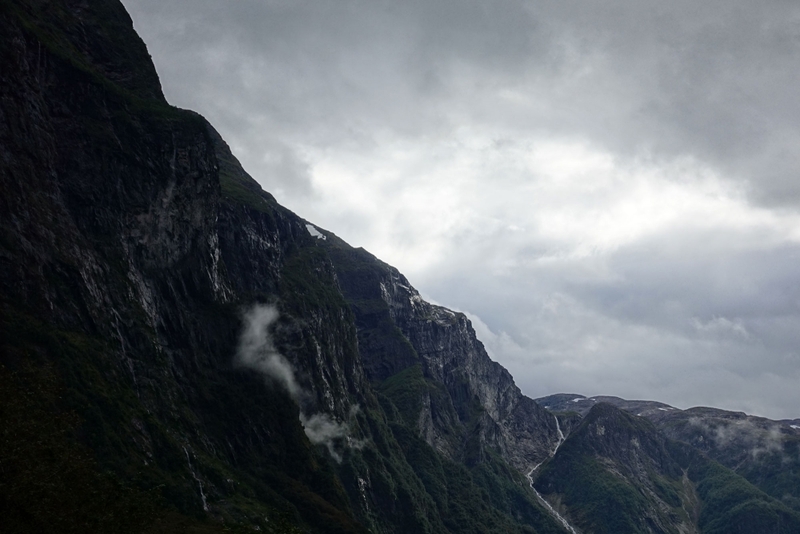 I would say that for us at the time of travelling, the Norway in a Nutshell price was a lot higher than what we actually ended up paying as above but it is always worth checking how much they are selling for when you are planning to travel. You never know - it may be cheaper with Norway in a Nutshell but if you find it is not, then please don't worry about doing it all yourself as we have done; the whole day is very easily set up - all of the stops are near each other, each step waits for the one prior to it and there are loads of people taking the same journey which helps. 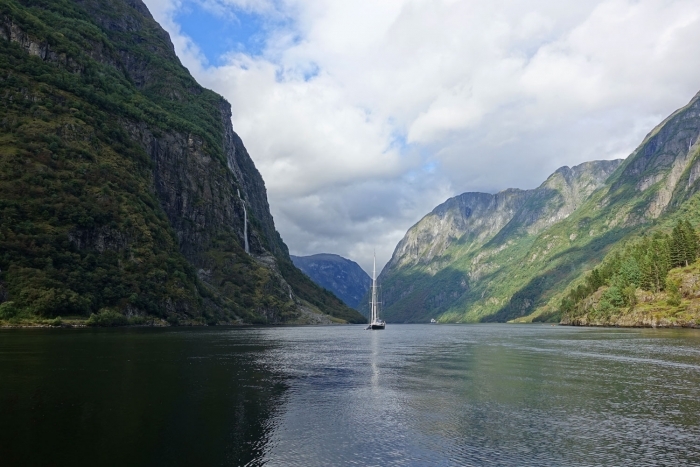 Although we had a few blips, I am very glad we did it ourselves; The only difference between booking things yourself and the Norway in a Nutshell people was the price, we had each paid, apart from this we had exactly the same experience throughout the entire day!